Photo, L-R: Vice President Michael Nealon, faculty member Stanley Moore, President Russell Kavalhuna, faculty member Doris Toney, Vice President Daniel Herbst, faculty member Vinita Parekh, Board Chair Michael Meade, and Dean Jennifer Ernst participated in the new Public Speaking Lab ribbon cutting on Aug. 29. 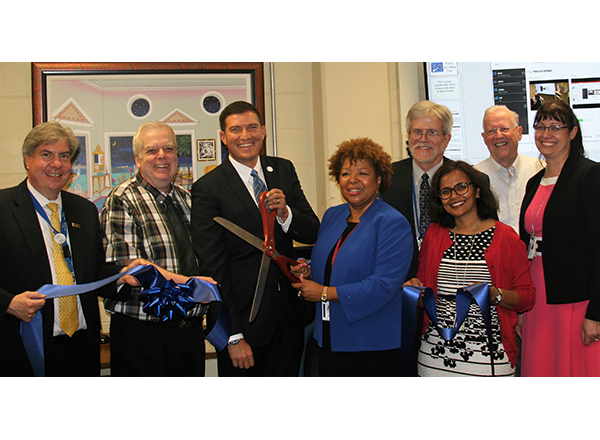 HFC President Russell Kavalhuna and HFC speech instructor Doris Toney had the honor of cutting the ribbon Aug. 29 at the official opening of HFC’s Public Speaking Lab in F-154 of the MacKenzie Fine Arts Center (Bldg. F on the main campus). 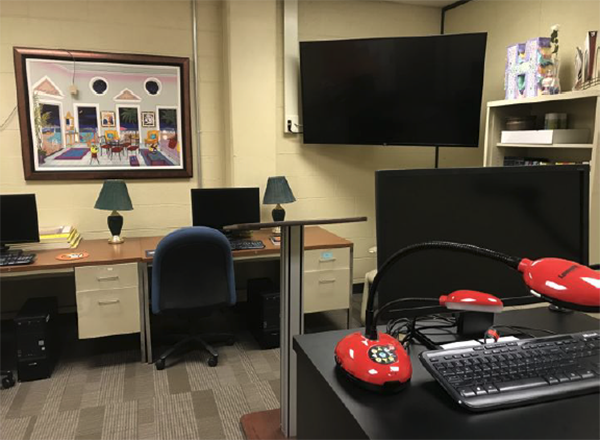 This lab is a result of the HFC Technology Investment Committee's award of a $64,000 grant for the public speaking lab and lecture capture equipment in dedicated speech classrooms in Building F. It is not only open to students in public speaking classes, but to all students across all disciplines. During the ribbon-cutting, Dr. Michael Nealon, HFC Vice President of Academic Affairs, and Dr. Jennifer Ernst, Dean of the HFC School of Liberal Arts, spoke about the lab in addition to Kavalhuna and Toney. Kavalhuna joked that maybe the speech instructors can critique his speaking skills after he makes his next presentation. Also present were Dr. Michael Meade, Chair of the HFC Board of Trustees; Dr. Daniel Herbst, HFC Vice President of Student Affairs; and public speaking instructors Stanley Moore and Vinita Parekh, as well as several other HFC professors and administrators. Afterwards, Nealon and Parekh cut the cake as part of the open house festivities. 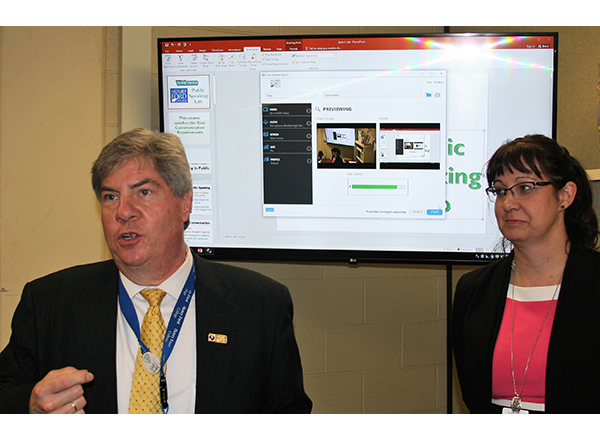 “What this lab can do for students is very exciting,” she added. 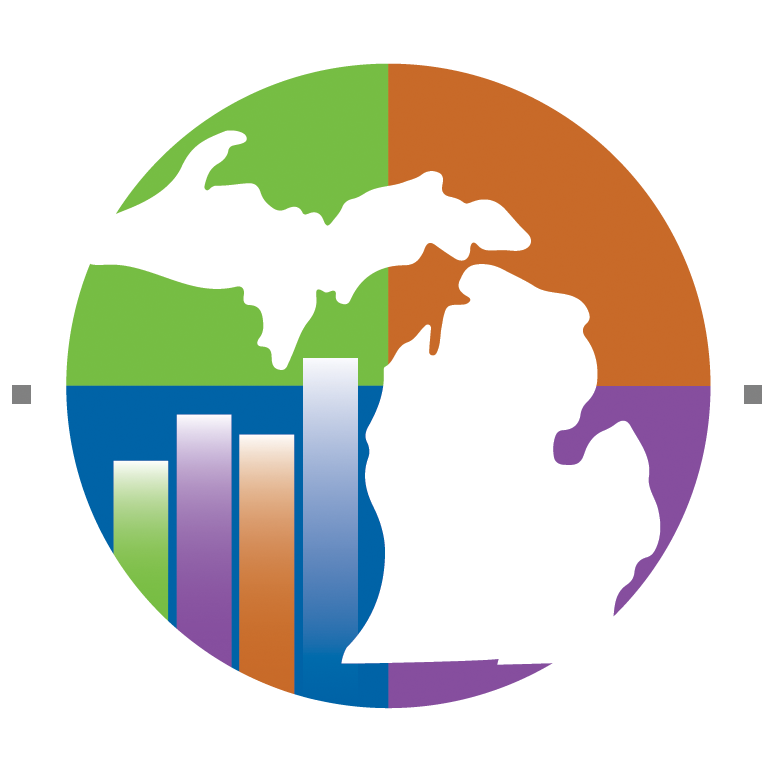 For questions or more information, contact Toney at 313-845-9837 or dptoney@hfcc.edu. 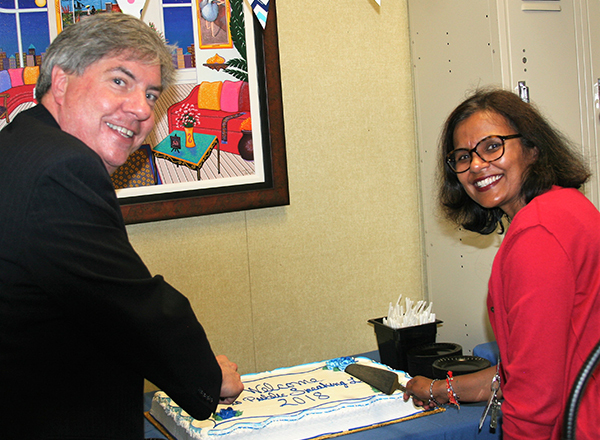 Dr. Michael Nealon, HFC Vice President of Academic Affairs, and HFC speech instructor Vinita Parekh cut the cake at the Public Speaking Lab opening house Aug. 29. Dr. Michael Nealon, HFC Vice President of Academic Affairs, and Dr. Jennifer Ernst, Dean of the HFC School of Liberal Arts, speak at at the Public Speaking Lab opening house Aug. 29. 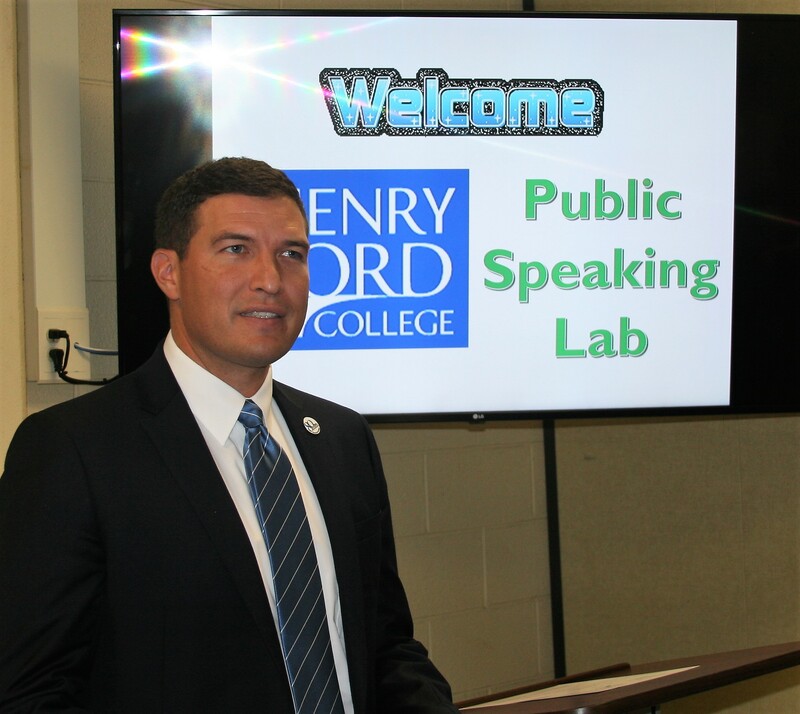 HFC President Russell Kavalhuna at the Public Speaking Lab open house.